Is your test delivery vendor and its test center staff following your test administration policies and business rules? Do the test centers that deliver your tests meet your requirements? Are test takers following your rules? If you want to know what’s happening at test centers, you have to be there! Caveon’s proprietary Site Auditing Protocols. 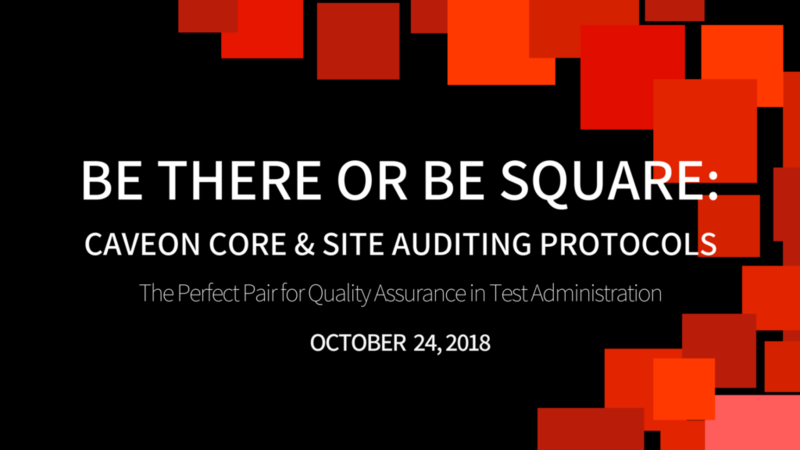 This webinar will focus on the value of a site audit, and take a closer look at Caveon’s site auditing platform. Be there or be square!